Thus while talking about the waffle, retail presence of the outlets, challenges; competition among other aspects of the business Shrey spoke to Restaurantindia.in. Intrigued by the concept of waffles on the go while working in Philippines, Shrey decided to take it as a business opportunity to start this in India under the company name The Belgian Waffle Co. in May 2015. 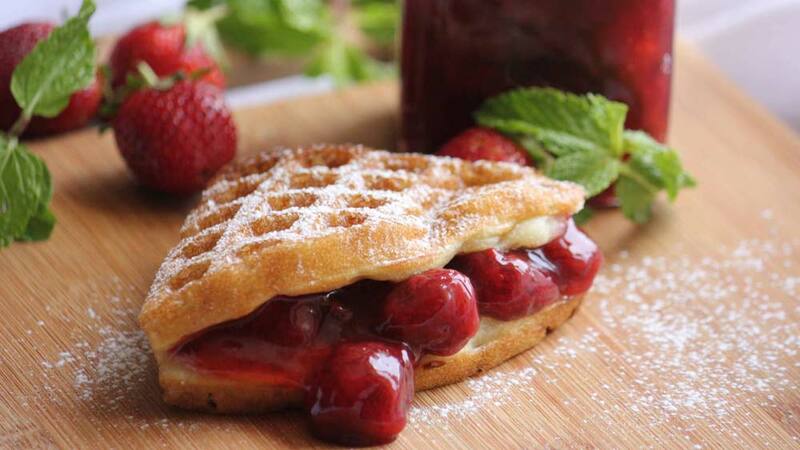 Based in Mumbai the company has been offering variety of freshly baked waffles namely honey bunny, cinna wapple, strawberry fields among others across the city through its nine outlets. What made you start The Belgian Waffle Co? I happened to be working in the Philippines from 2013-2015 in the technology industry. Towards the end of my time there I came across the concept of waffles on the go and was quite intrigued. A waffle kiosk was one of the first things I noticed as I walked into a large mall in Manila. A combination of the warm colors and aroma led me to buy one without really wanting it. I thought this was interesting. Coincidentally, a friend of mine introduced me to the owner of the very same waffle brand. His company was highly successful- 200+outlets in 2 years is a commendable feat and he was kind enough to let me understand the business. I have always been a huge foodie and when I realized this was an interesting opportunity and the investment was manageable, I decided it was worth exploring. Once I was back in Mumbai I decided to execute from scratch, largely inspired by what I had seen there. What are the different types of waffles you offer and what is unique with it? We tried to make sure we had something in every category - there are flavors that are classics such as the honey and maple syrup, flavors which are European such as the fruit compotes, cream cheese and peanut butter, and flavors which are timeless such as the chocolates and Nutella. We also have frozen ice cream waffles as well as a dark chocolate batter that are quite popular. We are continuously researching and trying to expand our range. The most unique aspect of the product is the batter. We have the best tasting eggless batter. We take special care to work with Swiss standards for our waffle premix and its ingredients. We also ensure that our batter is as natural as possible and contains no added preservatives or artificial flavors. Brand equity, scalability and customer experience are key drivers for us. Which are the top selling waffles? It is difficult to compete with Nutella. From our inception, the Naked Nutella has been our best seller. However, other popular favorites include the Chocolate Overload with our dark chocolate batter and the Belgian Milk Chocolate. The ice cream waffles are also quite popular. How have you customized these waffles to serve the tastes of the on the go consumers? We wanted to redefine the waffle eating experience from fine dining or messy and inconvenient to completely fuss free and easy. The idea of a waffle sandwich is what makes the waffles very convenient as an on the go snack. Eating a strawberry and cream cheese waffle with one hand, without a plate, knife or fork and on the go is definitely something that is unique. We also make sure the baking time is quick so that each waffle comes freshly baked right off the iron with no compromise on the product quality or wait time. The pocket packaging adds to the ease and appeal of an on-the-go treat. How has been the consumer response? Indians are fairly unique and diverse when it comes to taste preferences- so you can never really win the whole crowd. Ultimately we stuck on with what we thought the brand stands for premium at an affordable price. We are thrilled to see that the product and concept has really been appreciated well and is gaining a lot of traction. From two outlets a year ago, we are now at about six and expanding. The best feeling is when we have 10 year old children and 80 year old grandmothers coming and telling us with the same enthusiasm how much they love the product. How competitive is this market? There is definitely a lot of competition in the QSR industry with more brands coming in from the west and more local entrepreneurial venturing in India. However, it is still an unorganized industry and I feel there is a lot of scope. With the size of our market and audience, there will always be room for variety and new offerings that provide quality and consistency. What is your current retail presence and what are the expansion plans? Currently, we have about nine outlets in the city out of which four are franchised. Our flagship outlets are at Chowpatty and Bandra, Carter Road and the others include Lokhandwala market, Colaba Causeway, INOX Nariman Point and INOX Malad. Our upcoming outlets will open in Shivaji Park, Kings Circle and Juhu in Mumbai in December. Also, we are very keen on Pune, Delhi, Bangalore and Kolkata by next year. We have been approached by multiple franchisees for these cities but have not yet found the right partner. We believe in the brand and our product and would like to see it grow to as many cities and countries as possible. Will the future outlets be franchise owned and what will be the investment? There will be certain locations where we will want to maintain control. However, since the model was built keeping franchising in mind, we would definitely explore reaching new markets or locations with the help of good partnerships. The right partner is key. The investment ranges from Rs 5 to Rs 10 lakh depending on the format of outlet location. What is your current turnover and what is the target for next fiscal? We are doing well and our loyal customers are growing. We are one outlet away from achieving our target of 10 outlets here in Mumbai. That doesn’t mean we will stop expanding in Mumbai, but that we will also actively look to consolidate in another city. A Novel Food Pairing Phenomenon!..